Richard grew up on a pig farm in East Yorkshire, where weekends and holidays were spent trying to control a power washer. After studying a degree at Harper Adams he started work as a trainee grain trader in Diss, Norfolk and went on to build his experience in the agricultural machinery and vegetable sectors. 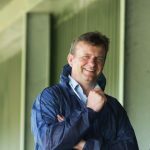 He advised a London based fund on agricultural and green investments before joining the National Farmers’ Union as Regional Director for Yorkshire and the North East in 2013, representing the interests of the region’s farmers and growers. Late in 2015 he joined Chippindale Foods as Head of Agriculture. Chippindale is a well-established Harrogate based egg packing business drawing eggs from producers across the North of England. The Chippindale Producer Group has seen considerable growth over the last three years during which time a growing number of green field sites have been fully supported into egg production by the Chippindale team. Producers are free to purchase all their inputs, benefit from group rebate schemes and are offered guidance and support to help drive efficiencies and increase productivity.